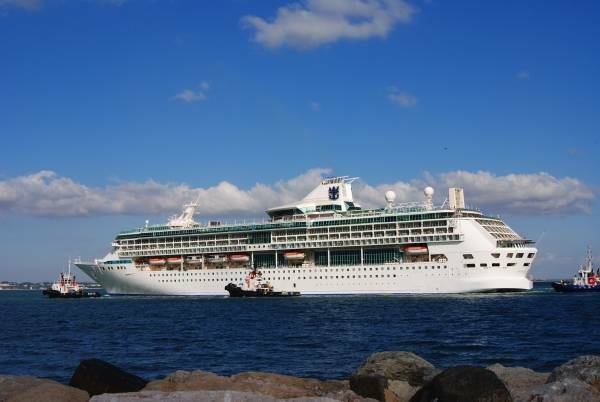 Royal Caribbean Cruises Ltd. (RCL) will retrofit 19 of its ships with advanced emissions purification (AEP) systems. These systems, also known as scrubbers, will remove more than 97% of the sulfur dioxide emissions generated by the ships' diesel engines. According to RCL, the move will position the company ahead of all forthcoming International Maritime Organization (IMO) Emission Control Area (ECA) emissions standards, and will ensure compliance with existing European Union (EU) standards. Additionally, the decision to install AEP systems instead of switching to a fuel with a lower sulfur content will ensure that RCL's ships can be compliant everywhere they sail, as availability of lower-sulfur fuels is limited. Royal Caribbean Cruises Ltd. has been involved in development, testing and planning for the use of AEP technology since 2010. Two newly built RCL ships that entered into service this year, Royal Caribbean International's Quantum of the Seas and TUI Cruises' Mein Schiff 3, were among the first cruise ships to be built with AEP systems installed during initial construction. 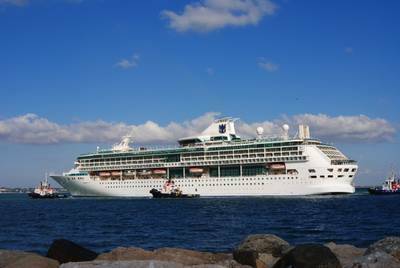 Royal Caribbean International's Liberty of the Seas has been operating one of its six engines with a retrofitted AEP system for two years. AEP systems scrub exhaust gases by injecting high volumes of water spray into the exhaust stream, removing more than 97% of sulfur dioxide emissions. The company said it faced significant challenges to accommodate the AEP systems on its existing ships – some pieces of which can be as large as a school bus, an entire system having an operational weight of several hundred tons of equipment and liquids. "A retrofit project of this size and complexity – and the scale and intricacy of the research, planning and design required – is unprecedented for our company, and has required a very systematic process and involved the world's leading expertise in this field," said Harri Kulovaara, Executive Vice President, Maritime, Royal Caribbean Cruises Ltd.
To ensure the right systems are available for each ship's unique requirements, RCL contracted two different AEP technology suppliers, Swedish company Alfa Laval and Finnish company Wärtsilä. Additional companies are being hired to execute the installations.